How to upgrade a single package using apt-get? 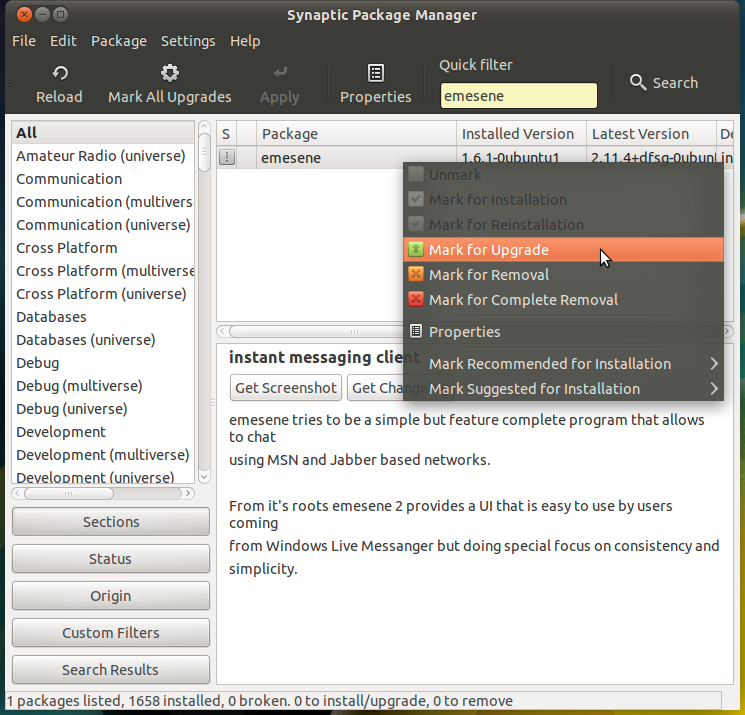 If you wish to install the package if it doesn't exist, or upgrade it if it does, you may leave out --only-upgrade. Note: Sometimes it may asks for additional packages or dependencies, it is normal. it will just reinstall PHP 5.3. This will list all available version numbers. You should find the version number you want to upgrade to, and then copy the whole string that references it. For example, the string for PHP 5.5 on Ubuntu is "5.5.16+dfsg-1+deb.sury.org~precise+2". Now, you can run the apt-get install command with the specific version number, and voila! I only added this because I was unable to find this information anywhere else! How to upgrade JUST the kernel? How do up upgrade LetsEncrypt certbot to version 0.22 which supports wildcard certificates? How to install RenPy on Ubuntu? How can I upgrade GHC installed using haskell-platform to the latest version in Ubuntu 14.04? How to rollback an incomplete system upgrade?